W437 CWX is a Volvo Olympian with Alexander Royale bodywork. 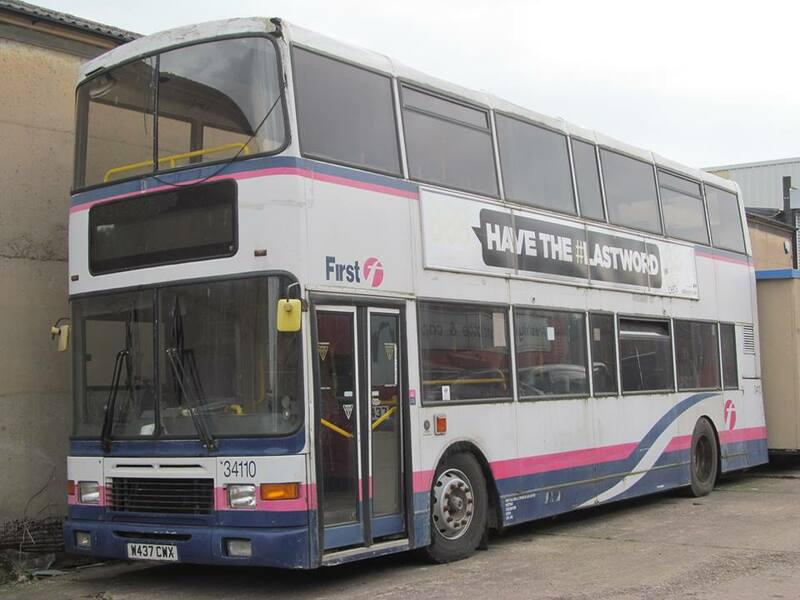 This bus was the final step entrance double decker ordered by a UK operator and also the last Alexander Royale body built. New to the Transdev owned Yorkshire Coastliner in June 2000, it was purchased by First in 2006 and initially went to their Somerset & Avon subsidiary. It then moved in 2008 to Eastern Counties, initially at Lowestoft and then finally to Great Yarmouth as their 34110. Although the bus runs and drives, it has severe chassis rot which requires extensive repairs, which have yet to be started on this vehicle. This bus is the newest vehicle at the SYTT, but it is seen as historically very important. It entered preservation in November 2015 and changed hands in 2017, before arriving at the SYTT. The bus is privately owned.